From july 6th till july 8th we’ll be having a 3 day workshop on digital sound synthesis. The workshop is held at the workshopspace at Nieuwewijkstraat in Ghent (Belgium). 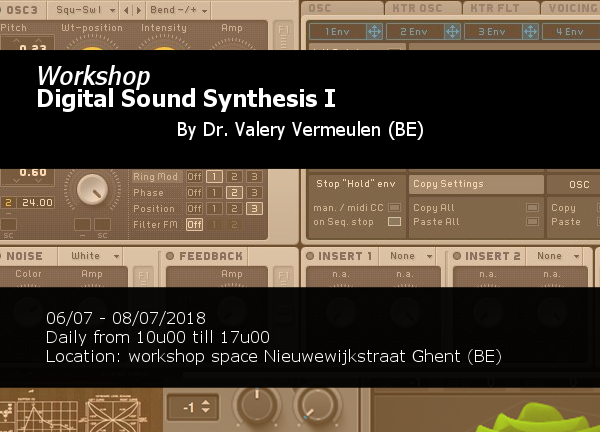 More info and to enroll: https://www.valeryvermeulen.net/workshops/digitalsynthesis/ or email to workshops@valeryvermeulen.net.